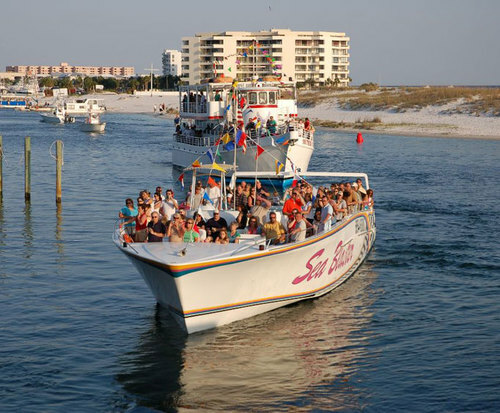 Sea Blaster Dolphin Cruise located in Destin, Florida is easily accessible to all guests off of U&period;S&period; Interstate 98. This family friendly event is a great experience for everyone. The company has dedicated itself to educating the public of sea life and how peaceful cohabitation can occur. 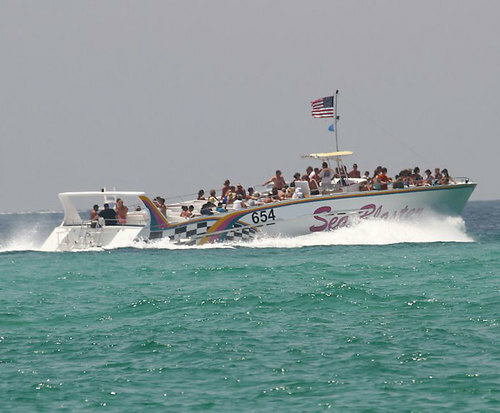 The Sea Blaster Cruise boat can hold up to 119 passengers per trip. The Sea Blaster will take the guests where the pods of Dolphins swim, allowing them to take pictures, educating them of their natural habitat, and what the behaviors and actions of the mammals mean. The cruise also allows their guests to go snorkeling if they like. The guides and staff on board the cruise will educate the guests how to properly use the snorkeling equipment, the proper safety procedures for snorkeling and swimming in the ocean, and how to act in an emergency. For the hot days, the staff has a water spay to cool down the guests during the trip. The staff will also provide complimentary soda, water, juice, and adult beverages. Guests are welcome to bring their own sunscreen, cameras, water shoes, and snacks. The guests are advised to call and reserve their place on the cruise ahead of time because there is no guarantee for openings during cruise times. This is a great way to spend an afternoon with the family. 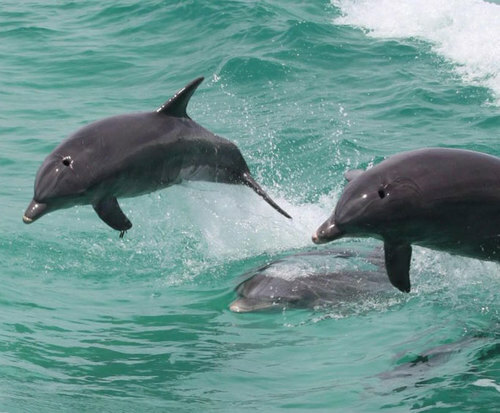 The Sea Blaster Dolphin Cruise is a great way to make memories that will last a lifetime for everyone.